There is no official order yet for “Sherlock” season 5 on BBC. But, on a positive note, the series creators and main cast members are looking forward to making more episodes of the popular crime drama series. Whenever showrunners Steven Moffat and Mark Gatiss are asked about “Sherlock” season 5, they practically have the same answer. They are not closing the doors on the chance of reuniting with Benedict Cumberbatch and Martin Freeman. The only problem is they all have other major projects booked for the next couple of years that even they cannot say when they will return to Baker Street. 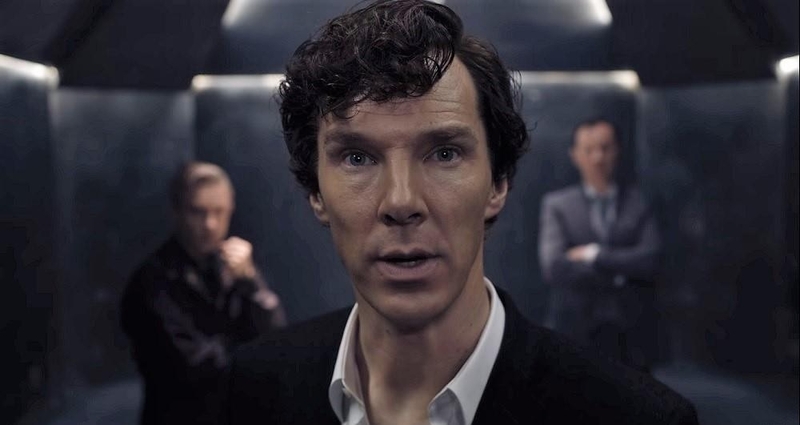 The latest installment aired in 2017 and ended with an episode titled “The Final Problem.” Avid fans have likely noticed that major change in Sherlock’s (Cumberbatch) personality and treatment of their cases while Watson (Freeman) will have to deal with life as a widower in “Sherlock” season 5. Meanwhile, Cumberbatch also rebuked rumors that the series is officially ending. While there are no certain plans yet for “Sherlock” season 5, the actor said back in 2016 that he would love to reprise the role in the future. “I'd love to keep revisiting it - I stand by that. The idea of never playing him again is really galling,” Cumberbatch told the Associated Press. Until in early 2018, when Moffat and Gatiss already signed for the “Dracula” TV series, the showrunners reiterated they would love to work with Cumberbatch and Freeman again for “Sherlock” season 5. “Nobody has ever closed the door on ‘Sherlock.’ … We haven’t got an immediate plan, but I would remain surprised, given the collective enthusiasm we have for it, if we didn’t do it again,” Moffat told RadioTimes at the time. The cast and creators of the show called out publications for allegedly misquoting their statements leading to massive confusion among fans. For one, Freeman last year after a report implied that he no longer enjoys the idea of working on “Sherlock” season 5. Freeman later clarified with The Daily Beast that he “loves” the show and what he only meant was “expectations can be heavy” especially when the path they take is different from what the fans wanted.